A bike rider’s vision is the gateway to decision making and performance. Precise, uninterrupted and enhanced light is able to support faster reaction times and control, which improves performance and the ability to react to dangers. Decluttering the world around a rider, be it in the city, on a rural road, forest trail or during a steep mountain bike decent, will improve their safety and support pure sensations and focus which will maximize a riders ability to perform and react whatever the conditions. We have long understood this and have pushed the boundaries of innovation and science to develop lenses for bike riders which bring an unsurpassed level of visual input and stimulation. 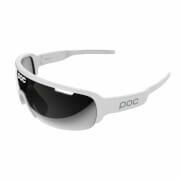 POC Clarity is the result and is our unique lens technology and science developed in collaboration with world leaders in optics, Carl Zeiss Vision. Driven by our mission and experience in product development, we have created Clarity lenses to work with our very specifc requirements and standards. Clarity lenses have the exact level of light and contrast to provide more information for the user exactly when they need it. Managing different types of light in such fine detail is crucial but it also varies across activities. Therefore Clarity lenses have light spectrums tuned to activity specific needs, Road, Mountain Bike and Commuter. Clarity lenses for road have specific lens tints that are optimized for road cycling, increasing contrasts on the road surface and enhancing the ability for riders to see irregularities and read road conditions. Mountain Bike lenses have tints specifically designed to boost contrast with trail associated colours, such a green and brown, and which is optimized for variable light conditions. Commuter riders have very specific needs and Clarity lenses for these riders feature light spectrums which boost traffic and car lights, providing commuter riders in urban environments with more time to react and ride safely. Clarity lenses intensify color and contrast by letting through the precise amount of light across the light spectrum, however light transmission also changes with season or weather patterns. As a consequence Clarity lenses also cover three weather patterns, sun, partly sunny and overcast. Managing different types of light in such fine detail is crucial which is why Clarity bike lenses are unique, as it allows riders to choose the specific activity and level of light performance. Free the senses and reach new levels of performance. Do Blade is a dedicated sports frame, injected in grilamid for low weight and durability. 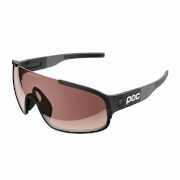 It allows for great flexibility with the option to change your lens according to the conditions. The rubber inserts and the adjustable nose piece in hydrophilic rubber keeps the frame firmly in place. The lens tints have been optimized for road cycling, increasing contrasts on the road surface and helping you to spot irregularities, holes and gravel in time. The Ri-PelTM treatment help keeping fog, dirt and grime off your lenses and makes water pearl off.